Shakespeare’s Henry VI, Part 3: Holding a Mirror Up to His Queen (Again)? 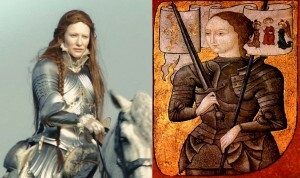 Queen Margaret (left), the Amazonian queen in the War of the Roses, reflects Queen Elizabeth (right) in Shakespeare’s Henry VI plays. What inspired Shakespeare to write his plays? We know many of his sources, but it’s largely guesswork as to what motivated his choices. Shakespeare didn’t give interviews. We can be certain, however, that he was very familiar with the royal court—it was the setting for most of his plays, and his main characters are mostly kings, queens, princes, dukes, and other members of the aristocracy. And we can be confident that Shakespeare personally knew at least one nobleman in the court of Queen Elizabeth I: the highly-popular Henry Wriothesley, the 3rd Earl of Southampton, to whom he dedicated two long poems. Southampton appears to be the “beauteous and lovely youth” Shakespeare describes in The Sonnets. A good case can be made that Shakespeare held up the mirror to other real people in his plays, including Queen Elizabeth I in characters such as Queen Gertrude. Other authors reflected Elizabeth in their works, such as Edmund Spenser in The Fairie Queene. Yet writers had to be careful. England during Elizabeth’s reign was the equivalent of a police state, protecting the cult of personality that surrounded her, the Virgin Queen, a goddess-mother who chose to marry her country rather any mortal. The later years of Elizabeth’s of long rule were troubled. She was childless and had named no successor. Courtiers and the rising mercantile class dependent on royal favor and stability became restless. This was the environment in which Shakespeare wrote the Henry VI plays, dramatizing the 15th century War of the Roses in which the houses of Lancaster and York fought for the throne. I’ve previously shown how Shakespeare, in the second part of the Henry VI trilogy, reflects Queen Elizabeth in the character of Queen Margaret, the Lancastrian queen who leads the fight against the Yorkists. Shakespeare extends that reflection in the third part of the trilogy. Many Elizabethan writers made direct comparisons between Elizabeth and Amazons […] [T]hese representations almost always look flattering on the surface, a good example being James Aske’s Elizabetha Triumphans, a celebration of the defeat of the Armada and one of the few contemporary sources for the story of Elizabeth addressing the troops at Tilbury. In his biography of Elizabeth, J. E. Neale quotes a contemporary report of her presence at Tilbury which describes her as “full of princely resolution and more than feminine courage” and how she “passed like some Amazonian empress through all her army.” This is the same way Shakespeare portrays Margaret—she’s called an Amazon twice in the play—linking her to Elizabeth. Elizabeth visited the troops at Tilbury in 1588 as they prepared to repel the Spanish Armada. Shakespeare parallels this specific event by having Margaret rally her troops at Tewksbury. 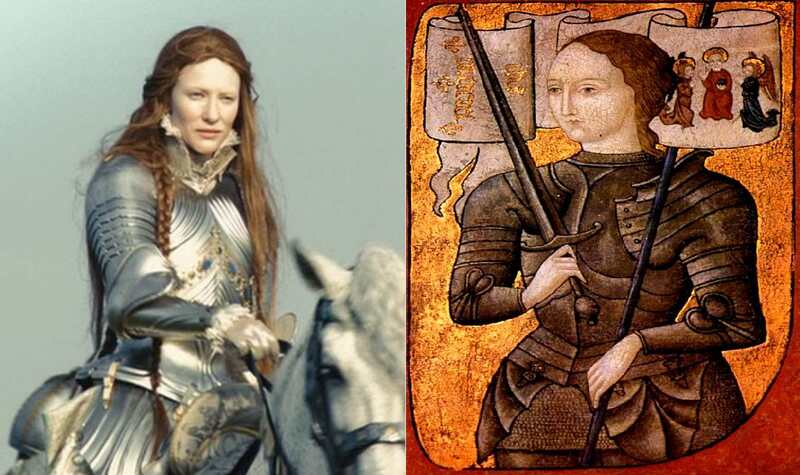 The unhistorical nature of this depiction of Margaret (she was actually lodged safely away from the battle of Tewksbury) strengthens the notion that Shakespeare deliberately mirrored Elizabeth in Margaret’s character. Further, although Tewkesbury is not on the coast and the battle did not involve invasion by sea, the fighting words Shakespeare gives Margaret employ the imagery of sailing vessels and “the rough winds,” “ragged, fatal rock,” and “ruthless waves”—the setting of the battle against the Spanish Armada, further strengthening the association with Elizabeth. In her speech at Tilbury, Elizabeth famously proclaimed, “I know I have the body but of a weak and feeble woman; but I have the heart and stomach of a king, and of a king of England, too.” Shakespeare uses a similar description for Margaret, a third marker showing that she represents Elizabeth. In the play, the Duke of York, just before Margaret stabs him (another unhistorical event invented by Shakespeare) calls her not only an “Amazonian trull (whore),” but also a “tiger’s heart wrapped in a woman’s hide”—a clear echo of Elizabeth’s description of herself. Gentle Shakespeare, Why So Gentle? The markers Shakespeare uses to identify Margaret as Elizabeth are subtle. One reason for that subtlety is the cruelty Margaret displays in 3 Henry VI—she mercilessly taunts York before slaying him. Shakespeare holds up a mirror to Elizabeth, Queen of England, but not too much, giving him plausible deniability. But there may have been another reason why Shakespeare tread lightly in this regard. In 3 Henry VI, the weak and feeble King Henry reaches an agreement with the Duke of York that passes the English Crown to him and his progeny after Henry’s death. Henry’s wife, Queen Margaret, and their son, Edward, are nonplussed by Edward being disinherited of the Crown, which leads Margaret (the Amazon) to raise an army to fight York. 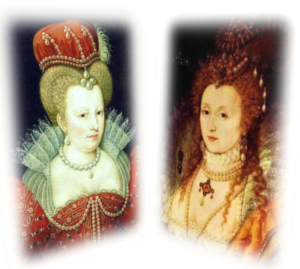 This story element drives the action of the play and points to the main difference between Margaret and Elizabeth: Margaret had a son, Edward, who was heir to Henry’s throne; Elizabeth had no offspring—at least none she acknowledged. Much has been written about whether Elizabeth had children. A review of the evidence, including the history of her love interests, suggests that it’s at least plausible (i.e., more than just possible) that she did, even if it can’t be proved that it’s likely she did. Under the treason statutes at the time, anyone raising that subject risked a trip to the scaffold, which could explain Shakespeare’s light touch in portraying Elizabeth as Margaret. Admittedly the question is speculative, but given the Elizabeth-Margaret reflection Shakespeare creates, it’s reasonable to ask: in the Henry VI plays, is he uncovering ever so gently a facet of the succession issue that vexed England at the turn of the 17th century, namely that Elizabeth was passing over legitimate claimants to the throne? A similar theme appears in Hamlet, in which the prince’s mother is complicit in denying him the throne. 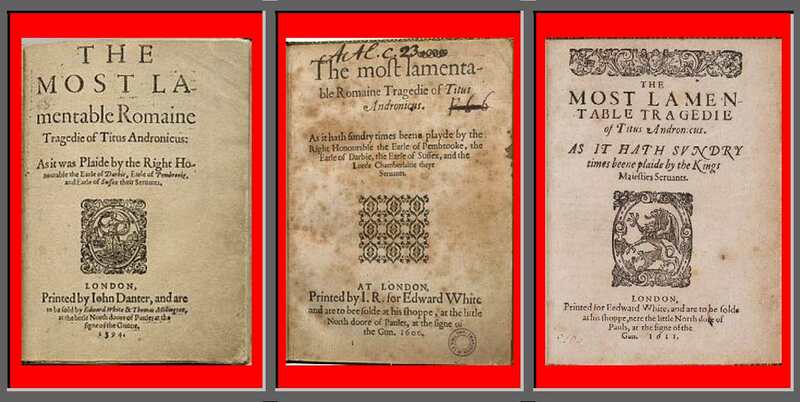 More generally, the theme of the alienated, dispossessed ruler appears again and again in Shakespeare, in plays such as Richard II, King Lear, and The Tempest.